For info contact Tara Andrea & Maboud here. The Southwest Sufi Community Dargah Retreat Hut is ready for retreatants! Remember remaining very still and listening to the sound of a Tibetan bowl or a bird's song in the woods until the absolute very end? In truth, every sound goes on forever, there is just a moment at which we can no longer hear it. The Southwest Sufi Community offers this type of quiet, with time and endless space for solo retreat, while staying at the Dargah Retreat Hut. For those seeking time off the grid to write, observe spiritual practice, daydream, commune with Nature, please visit us at SSC. 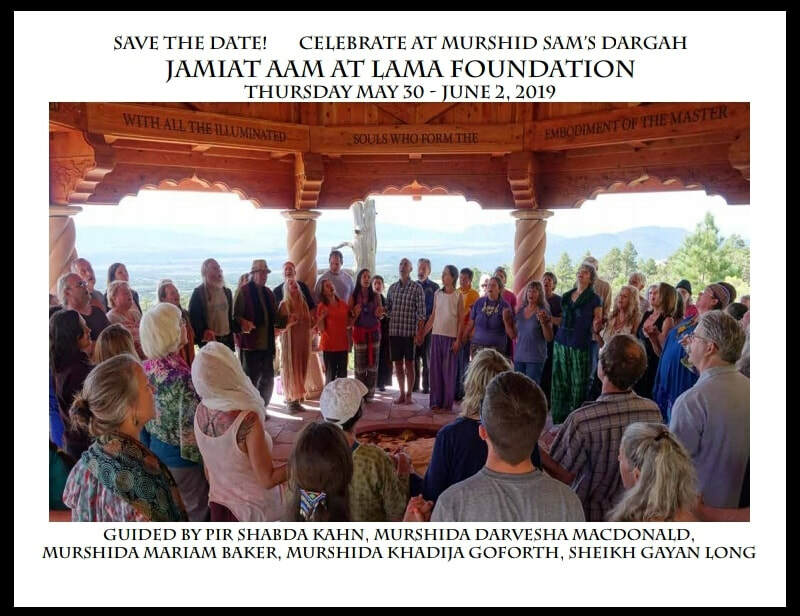 Hazrat Moineddin Jablonski, Pir (spiritual director) of the Sufi Ruhaniat International for 30 years, had the vision upon which the Southwest Sufi Community, a nature preserve, was founded. His Dargah, or burial place, is located on Southwest Sufi Community land, on a site that he chose. He also chose a site on the hill above the dargah for the Dargah Retreat Hut, which has been completed as a cozy retreat place for one person. The views from the Dargah Retreat Hut are vast and inspiring. The sheer silence is almost palpable. The stars glimmer in the velvet darkness and almost nothing detracts from inner and outer solitude. 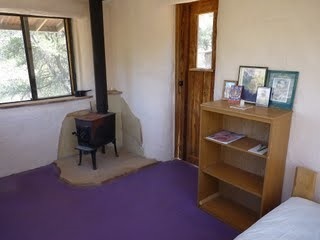 Guests are welcome to stay for one night or more at the suggested donation of $20 a night. Water, hand carried to the Retreat Hut from the artesian spring, and linens are provided by the SSC community. The Retreat Hut is simply equipped with a single bed, wood burning stove for heat, a one-burner camp stove, sink and a nearby outhouse. The community offers options for having meals provided and brought to the Retreat Hut for a modest fee. Alternately, the retreatant may prefer to make meals in the community Retreat Center house where they are also welcome to shower. Individuals wishing to experience a personal guided retreat may request a list of local retreat guides. For more details, or to make arrangements and design your own unique retreat, inquire with the Host-Coordinator at sscvoc@gmail.com. Our webpage is southwestsuficommunity.com. _ “…dance with me in the infinite pause before the next great inhale of the breath that is breathing us all into being…"